*Certified Organic/100% Aust. 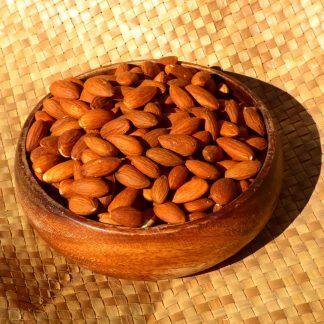 Grown These Raw Almonds are great for school lunchboxes and are a high source of protein and calcium. They have a fresh sweetness that is delightful! *Certified Organic/100% Aust. 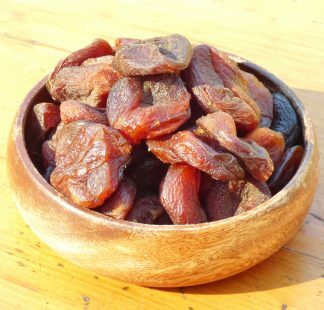 Grown These Dried Apricots are the best you will ever taste. Just the right amount of sweetness to enjoy as a delicious sweet at the end of the day. They are an excellent source of vitamin A, vitamin C, copper, dietary fibre and potassium. *Certified Organic/Product of Bolivia A crunchy, sweet nut. 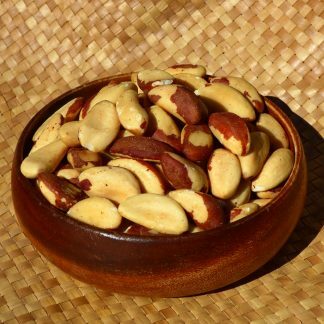 You've never tasted a true brazil nut until you've had an Organic one! *Certified Organic/Product of Aust. 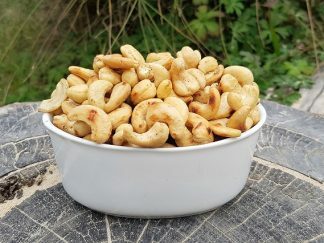 These delicious hand-roasted Cashews have a sweet garlic flavour and are the most healthy salted snack around.  Containing all Certified Organic ingredients, they are made with cashews, sunflower oil, garlic and Celtic Sea Salt. Perfect to share with friends or to accompany your favourite book after a busy day - such a treat! 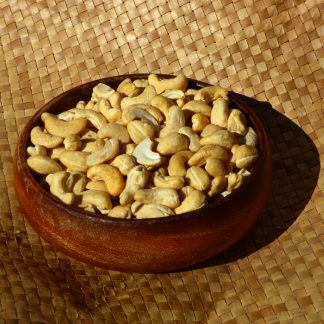 *Certified Organic/Product of Vietnam Packed with magnesium, cashews are a sweet nut that are perfect for a nourishing snack or as a less expensive substitute for pine nuts in pesto. *Certified Organic/100% Aust. 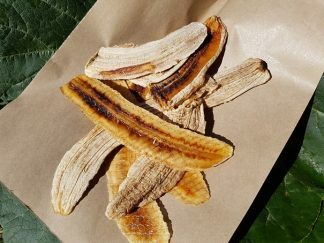 Grown This Dried Banana is dried with love by us on the DEOSA Family Farm using ripe Certified Organic Bananas. Great to treat yourself with and a perfect toddler food, it is the perfect softness to chew. 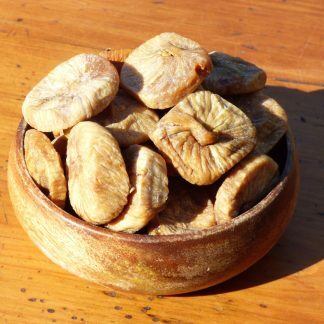 *Certified Organic/Product of Turkey These Dried Figs are a DEOSA favourite as they have a soft chewiness and a divine taste. A perfect toddler food too! 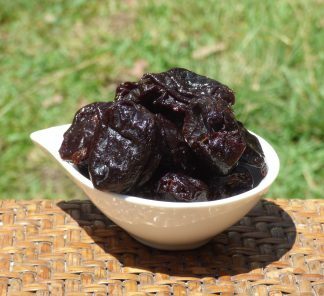 *Certified Organic Sweet and nourishing, these prunes could take the place of lollies any day! *Certified Organic/Product of Aust. 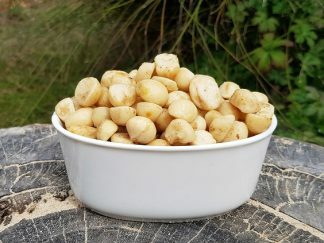 Deliciously tasty, these Roasted Garlic Macadamias are hand-roasted and are perfect for that afternoon treat with friends, or as an accompaniment to a good book! Containing all Certified Organic ingredients, they are made with macadamias, sunflower oil, garlic and Celtic Sea Salt. *Certified Organic/100% Aust. 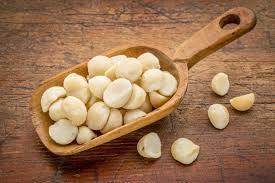 Grown The classic Australian nut, the Macadamia is as tasty as it is healthy. 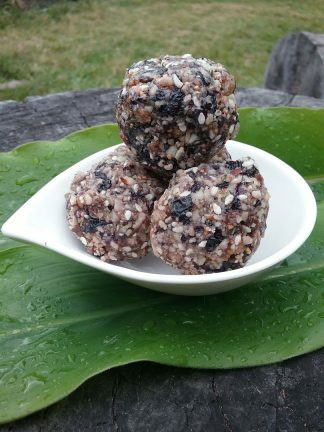 With its delicate crunch and smooth flavour, the macadamia is perfect for the best of desserts and is so delicious paired with some dried fruits as a healthful snack. 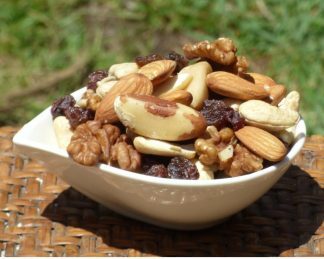 *Certified Organic A delectable mix of nuts and sultanas that is perfect for snacks and lunch boxes. Typically containing almonds, macadamias or Brazils (depending on season), walnuts, cashews and sultanas. *Contents may vary depending on season.